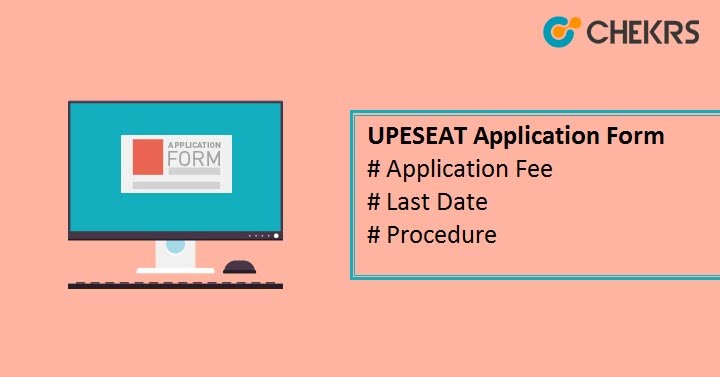 UPESEAT 2019 Application Form: Asia’s first core sector university “UPES” provide gateway to get admission into specially designed courses in oil and gas, power, infrastructure, information technology, transportation, electronics and many others. UPES stands for University of Petroleum and Energy Studies. The UPES Engineering Aptitude Test taken by the School of Engineering of the university, which is mandatory for UPES B.Tech Admission and B.Tech. LLB (Hons.) courses offered in the university. Latest Update: UPESEAT 2019 Application Form has been released!! To get admission into these courses, candidates have to appear in the examination. And to appear in the exam/admission candidates have to do the UPESEAT Registration and fill the Application form. The UPESEAT important dates will be notified in the official notification till then you can start your preparation for the exam/Admission. Here are the tentative UPESEAT 2019 Dates. Basically, there is two mode of admission, one through Qualification exam Rank list or merit list and other one through UPESEAT 2019 Entrance Exam(up to 80% Seats). There are different Eligibility Criteria for both some of them are listed below. Age Criteria: Candidate’s DOB has to be on 1st, October 1997. To verify the age Candidates Mark sheets will be considered. Admission through Exam: Passed 10th and 12th with minimum 60% marks in PCM. Admission through Board Merit: Passed 10th and 12th with 80% marks in PCM and aggregate 60 % marks in PCM. The Application form will be available through both modes i.e. Online and Offline Mode. Through Online Mode UPESEAT Application Form 2019 along with the prospectus can be downloaded by paying Rs. 1750/- As Application Fee. Through Offline Mode, candidates can get it via post/courier After paying Rs. 1850/- as UPESEAT Application Fee. Now register yourself by providing all the required data. And Click on Submit . Now a link will be received in your email, click on it and verify your Email by click on the link. Log in on the newly opened Page. Now you will access the UPESEAT Application Form, Fill all the required/ask details like Personal, Academics, and contact details. Also select Your Preferences of Exam/ test center. Now Make the payment and submit the application. Take a print out of Payment Receipt and filled data, Also notedown the unique application number and keep it safe. That’s it, I Hope this article will help you to fill the application form. Make sure to read all the instruction of the form. Now after filling the form and slot booking start your preparation for the UPESEAT 2019 Exam.